This is the 3rd edition of the bestselling, award-winning British Columbia: a Natural History. We’ve added 26 pages to the 2nd edition and have included a lot of new stories and information, especially with regards to climate change and its impacts. 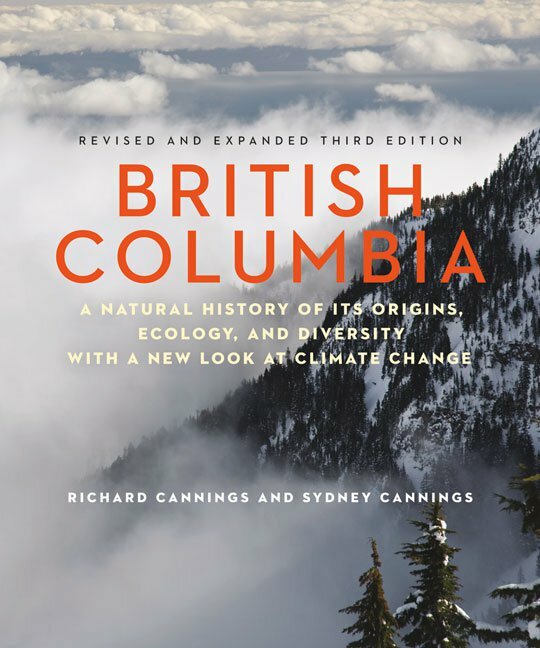 British Columbia is a large, diverse province and the natural history of British Columbia is correspondingly immense; it is simply too big of a subject for one book to cover in depth. This book therefore, is not intended to be an exhaustive collection of facts about the natural history of British Columbia; nor is it meant to be a species-by-species guide to the plants and animals of the province. Rather, it is intended to provide an introduction to the ecosystems of the province and to tempt readers to learn and explore more by offering a few intriguing, in-depth stories about life in those ecosystems. British Columbia: A Natural History has won several awards, including the Bill Duthie Booksellers Choice Award for best book published in British Columbia, the Canadian Science Writers’ Book Award and the Lieutenant Governor’s Silver Medal for best book on the history of British Columbia. This book is available at the BCIT book store in Burnaby if you’re interested.